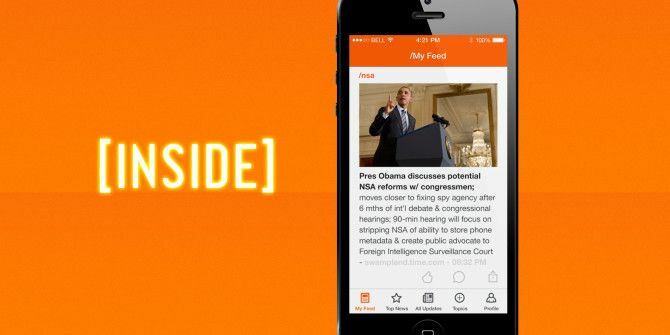 Inside is a newly launched website and mobile app which summarizes news stories in 300 characters or less. The news curation service could be an answer for our short attention spans and the overload of information. It is definitely not the first on the scene because we have already taken a look at Circa which also gives us a bite-sized news feed. Then, there is always Twitter. Every day a team of curators find the 1,000 most important and fascinating stories in the world and the journalists who did the best job telling those stories. They write a 300-character “update” on the story and link directly to the source. These updates have a short “embedded headline,” generally contain 10 facts and are categorized in up to three topics. What they don’t contain is fluff, bias or deceptive headlines. The 1,000 updates a day come into a personalized feed in real time. A more concise “Top News” is another feed with 25 handpicked news stories for each day. Each news bite is linked to the actual source where you can read the entire article. For each news item, you can swipe through it like a deck of cards to see the previous update on that particular news story. Inside wants to filter through the noise and present the news that really matters. More than that – it wants to save us time. The intention is based on our need to stay updated, but without it being a productivity drain. Does it work for you? Try the free mobile site, iPhone and Blackberry apps (with the Android version coming soon), and tell us. Great format, great info but a fatal characteristic. It will update itself while you are reading it or one of its links leaving you somewhere far from where you were with no way to return. That's enough to scratch it from my set of useful sites. What could they be thinking?